Time is always limited. We always want more. If there is one thing that will help every company market themselves online, with limited time, it would be regular blogging. A content calendar can help you get started and (more importantly) continue your efforts. Blog posts produce great long-tailed content. They also establish your company as an active participant in your industry. It’s also great for SEO. But what should your company write about? This is the most common question I get, when encouraging my clients to blog. I’ve previously suggested to use Google Alerts and Twitter as writing prompts. Another option- that might be easier- is by creating a content calendar. 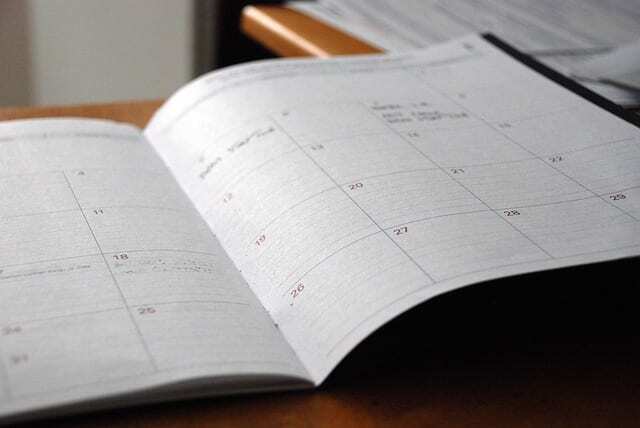 While creating this content calendar might take a little time upfront, as with many things in life a little planning helps you save time later. If all you did was write one post in your blog, each month, I think you’d start to see an impact. Of course, it would be even more helpful to do a post each week. In fact, I think you could find four articles from each of these topics, each month. No, not all of these directly sell the products we, as an example, are distributing. This content, however, is interesting to our audience (purchasers) and this helps keep them interested in us, as someone who can help them out. In fact, if you only blog about yourself and your products, nobody will listen to you. Okay, it’s not truly “universal.” This clearly has a bias towards the seasons of the northern hemisphere. It also has some biases towards holidays in the United States. Still, even if you’re on the other side of the world, I think this can help you brainstorm some topics about which you can write in your blog- you might just need to shift the time by 6 months.